September is Gospel Music Heritage Month, a time to reflect on the origins and current status of gospel music. 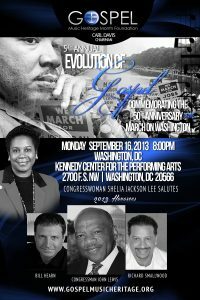 The Gospel Music Heritage Foundation’s 5th annual “Evolution of Gospel ” Gala Concert will be held at the Kennedy Center on Monday, September 16 at 8 p.m. It promises to be another star-studded event. Performances will include Pastor Donnie McClurkin, Earnest Pugh, Tye Tribbett, Jason Nelson, Anthony Brown & Group TherAPy, Tanya Dallas-Lewis, The Washington Performing Arts Society’s Men and Women of the Gospel Choir and more. 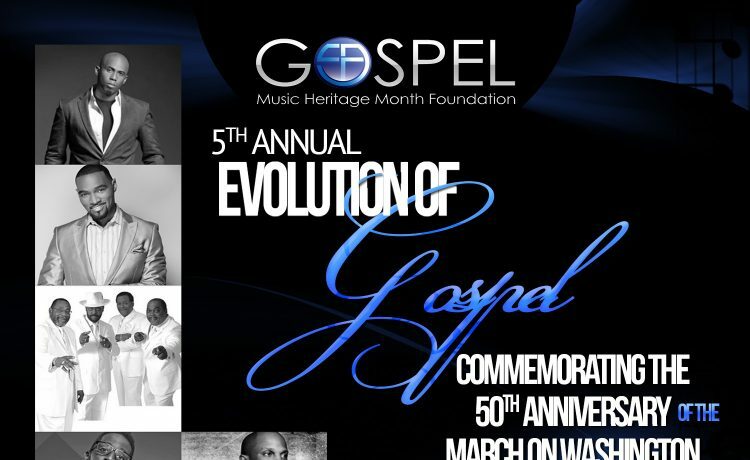 This year’s honorees are gospel great Richard Smallwood and Capitol Christian Music Group president/CEO Bill Hearn. 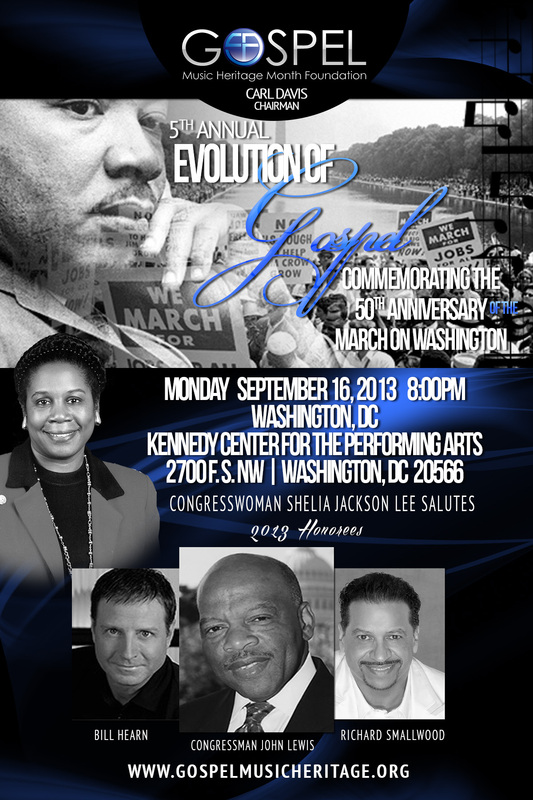 In addition, in observance of the 50th Anniversary of the March on Washington, Congressman John Lewis, the only surviving member of the “Big Six” leaders of the 1963 March on Washington will also be honored. Admission is free, but tickets are required. To request tickets, email Ivy Levingston, at ivylevingston@hotmail.com.